The way you frame your actors or subjects conveys your message to the audience. Send the wrong one, and the audience goes packing. 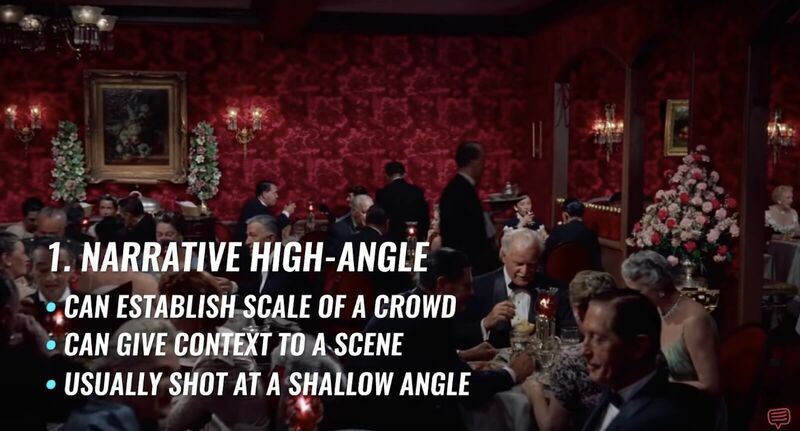 Today we’re going to go over high angle shots and how it’ll help you add subtext to your shot selection and variety to your shot list. A high-angle shot is a technique where the camera looks down on the character or subject from an elevated perspective. Why use a high angle shot? This is when a director uses a high angle shot to show things that would be hard to see from any other angle. It is often used in battle sequences or when showing a large space that has a lot of visual information. This is where a director uses a high angle shot to generate a feeling within the mind of the viewer. That feeling is most often ties to human beings natural fear of falling from heights - and thus a high angle shot can simulate that terror. 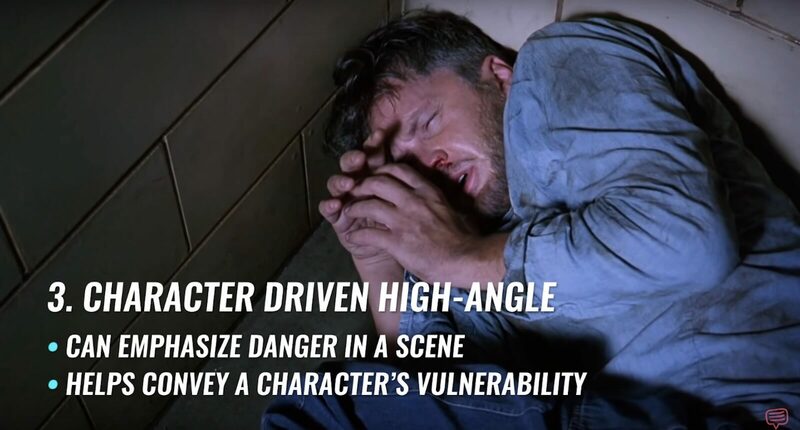 High angle shots can signal a character's vulnerability. It is like a psychological vantage point for anyone other than the character in the frame. Most examples do not have a practical reason for using a high angle, but very simply a psychological and film grammar rationale. 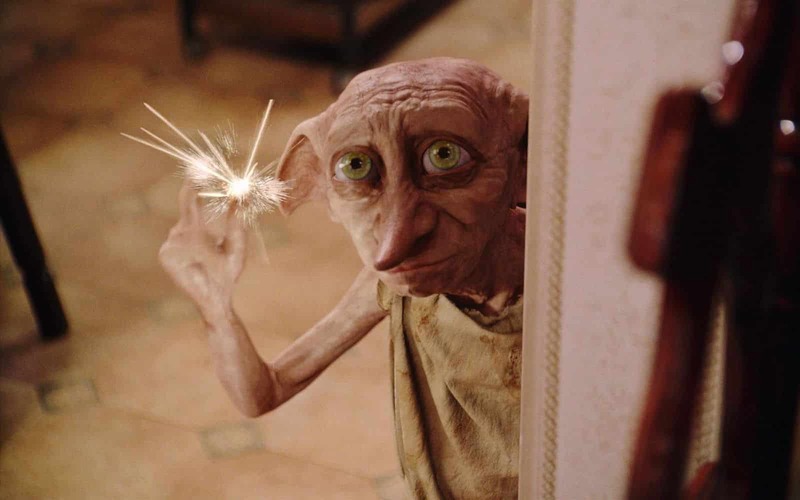 Let's start with Dobby in the Harry Potter series. We almost always frame Dobby with a high angle shot in dim light. Not only are we trying to show the size of the house elf, but we’re also trying to define how the world looks at and treats the house elf. High angle shots can also convey various themes. 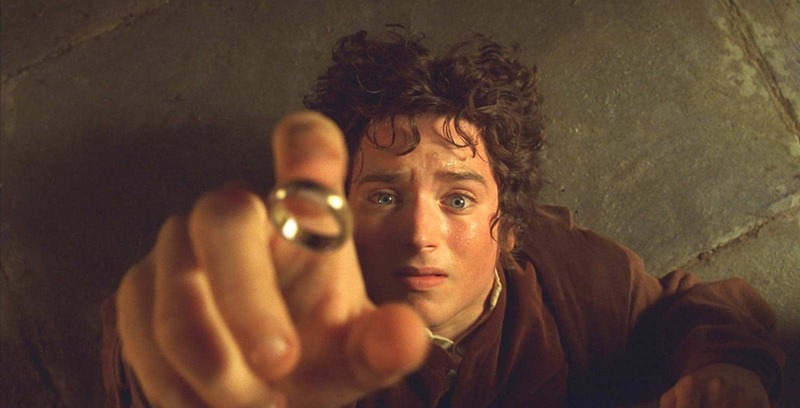 Like what if your entire film series is about how much power a ring has over a hobbit? Frodo is often found powerless, beneath the ring. Like it’s pressing down on him. 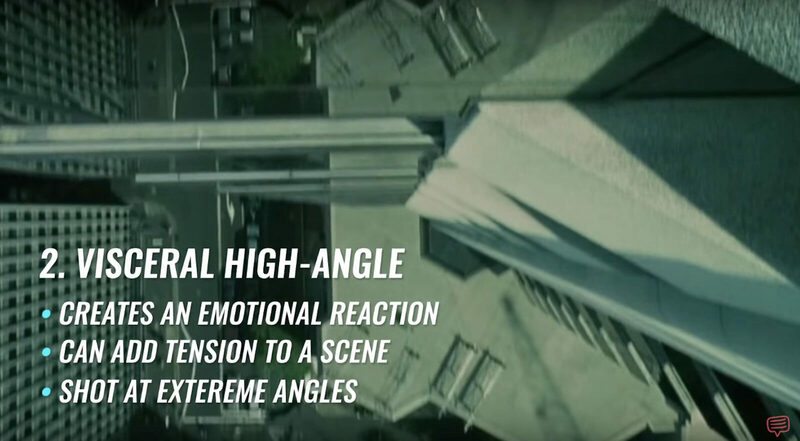 But what about the high angle use in specific scenes? Take this shot from the first act of Titanic. Rose feels like she can’t control her life. She’s got an arranged marriage to a man she doesn’t love. James Cameron looks down on her as she looks down on the ocean. She feels insignificant and framed her that way so the audience is on her emotional level. That’s a lot of pressure for Rose, but what if you’re climbing toward your betrothed, not running away from it? 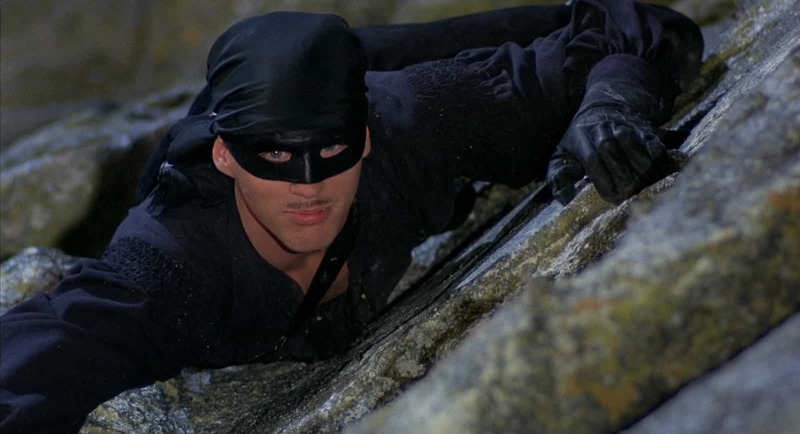 The Princess Bride builds an entire set piece around Wesley looking weak as he climbs the wall to fetch Princess Buttercup. The odds are stacked against him, and we know that because we look down on him the whole time. But the bright lighting and high-contrast gives us hope for the hero. The odds are against him, but it’ll all be okay. How to shot list your high angle shots? So, you’ve written the script, and you have the perfect scene to utilize high angle shot. What do you do now? You need to put it on a shot list so your DP can anticipate and prep. High angle shots take lots of planning. Do you want to use a crane to get the angle, or are sticks fine? How much should be in focus? What’s the depth of field for the shot? Will it change as we move? 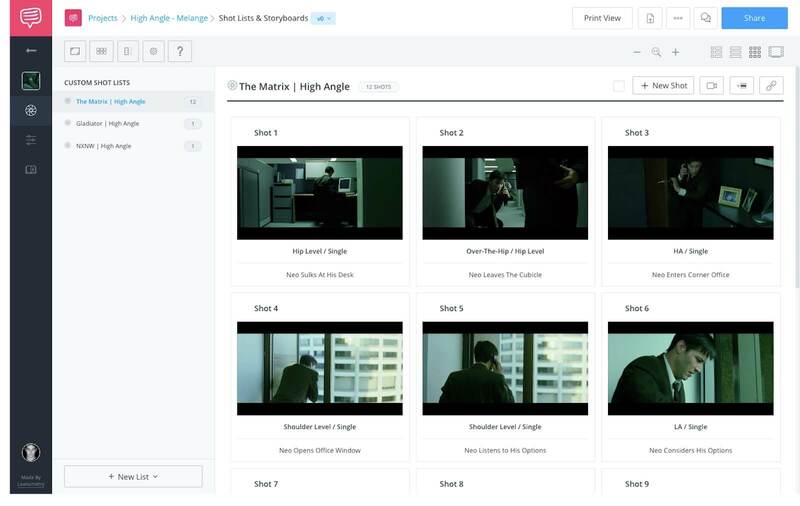 You want to capture all these crucial details in your shot list. You can also add notes to drive home the type of high angle you want to use. How high angle shots convey story? The high shot angle can convey many different kinds of moods and tensions. It all depends how you work them in tandem with lighting and camera movement. In Citizen Kane, the high angle shot is used to show the actual scale of the newspaper operation Charles Foster Kane runs. If you look at this scene, Orson Welles uses the high angle to also convey how one person can be dwarfed by the power of the press. Similarly, Wes Anderson employs the high angle shot to show how powerless Ed Norton’s Scout Leader feels dealing with one of his more difficult campers. Anderson’s high angle shows a man at his wit’s end. It plays for comedy. Norton’s character wants to be in power but is not. But what about more subtle uses of the high angle shot? High angle shots don't always have to be so dramatic. Filmmakers often tilt the camera to express more nuanced emotions. Take this shot of James Caan in Misery. Director Rob Reiner uses the high angle shot to make us uneasy for him. He’s a powerless cripple about to be brutally tortured by Kathy Bates’ character. The subtlety of this high angle doesn’t take the view out of the movie. Instead, its tilt creates actual misery for the audience. This scene really plays on high angle shots and low angle shots. Misery keeps Caan at a high angle to put him in danger. Switching genres to science fiction, I Am Legend presents a slightly high angle shot below. It’s not easy to make Will Smith feel powerless. Enter the high angle. I Am Legend (2007). Director Francis Lawrence puts us slightly above eye level. This high angle shot makes us uneasy. We can tell Will Smith’s character is worried, scared. The slightness of the angle doesn’t go over the top to make him powerless but uses the bit to revel in the tension of the scene. The shot angles vary from wide, medium, to close up. They dictate the rising action. All of them are manipulated by high angles. What about using the high angle shot for a higher power? No matter what you believe in, filmmakers believe in the high angle shot. This scene from The Shawshank Redemption is something we’ve built toward the entire movie. We’ve seen Andy bullied by inmates, guards, and the warden. The high angle has given everyone power but Andy. As soon as he steps out into the rain, Andy shows how grateful he is to finally be free. The entirety of Shawshank builds to this shot. We hit Andy with the high angle. Instead of the feeling of being powerless, we see Andy feel the relief of his problems washing off him. The high angle works across genres. Lighting cues and camera placement really affect the mood you get, so make sure your work reflects the specific tone you want. Creative uses of the close up! Now that you know how to use a high angle it’s time to figure out how you want to frame the character. If you’re trying to accentuate the emotions behind the high angle, we suggest pairing it with a close up shot. See how you can mix and match them for the perfect fit!